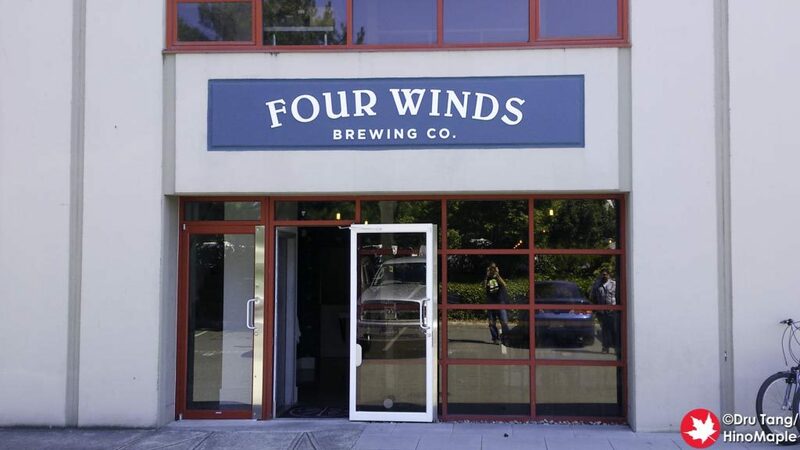 Four Winds is a very interesting little brewery located in Delta, a small suburban town of Vancouver. It is a very difficult location to visit unless you have a car and I really can’t recommend visiting this site if you are a tourist. If you live in the area, it is a definite place to visit and I will have to visit this place again due to the circumstances when I visited. Four Winds is located on 72nd St. (not Ave.) in Delta, but in reality it is on River Road between the Massey Tunnel and the Alex Fraser Bridge. For people unfamiliar with the area, 72nd Ave. is more famous and almost no one knows of 72nd St. Thankfully my good old friend “R” was kind enough to drive us to the tasting room where I promptly got myself a flight. I really thought Four Winds was good and there is a good number of saisons, especially in the summer. 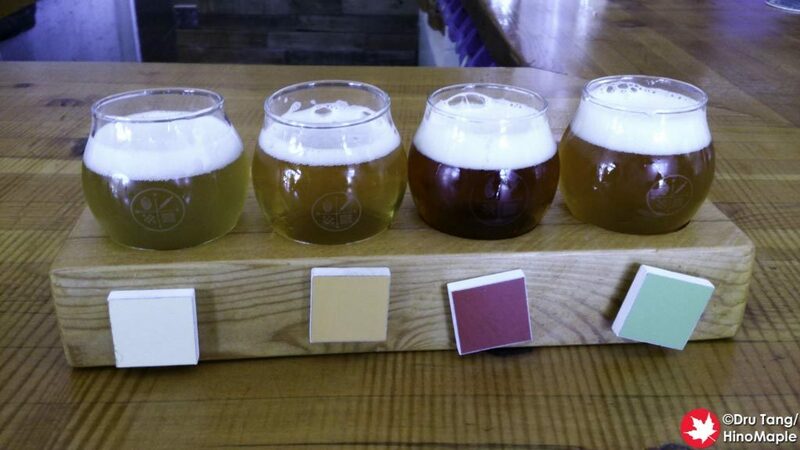 The flight I got was a really good and I really enjoyed the fresh tastes of the saisons in the summer. The styles of beer available weren’t my favourite, but I did think the beers were really good. I’m sure that if I had more exposure to saisons that I would start to like it a lot more. Unfortunately in Japan, they are not popular yet. The tasting room was a little smaller than I expected and there was a lot of good going on. It had a bit of a Pacific Northwest feel to it and the crowd was a decent mix. Four Winds leaned more towards 33 Acres in style but not so extreme. The people were not as friendly to me as they were to the regulars. I can understand that but it would be nice to be able to talk to them a bit more and learn more about their beers. I was really happy to go to Four Winds and would love to go back there again. I felt that I didn’t have enough time to really understand this brewery and their style. Unfortunately “R” had a small emergency and we did have to leave quickly. Sometimes things are out of our control and we just have to deal with it. I was still very appreciative to “R” for being my chauffeur for the day as I drank, and I am always happy to be with good old friends where we can catch up on life, even when our lives become nothing but family and work. 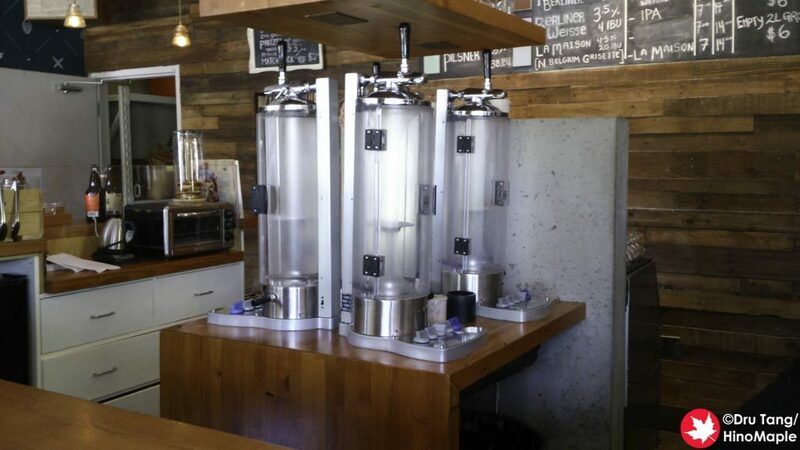 This entry was posted in Canada Food and tagged beer, canada, craft beer, Delta, Four Winds, Four Winds Brewing, Four Winds Brewing Co., Ladner by Dru. Bookmark the permalink.